Like its world-famous neighbor, Daytona Beach, Palm Coast has all the crystal-clear water and sunshine needed for a perfect holiday. In Palm Coast, you'll get a bit more wildlife and a more refined array of entertainment. Of course, one of the essential aspects of planning your holiday is searching through all the Palm Coast resorts, hotels, and other vacation rentals online. With all the options for hotels in Palm Coast, FL, you'll want to be careful about what you pick and who you book with. Here at Vacatia, we have an extensive database of Palm Coast hotels and Palm Coast beach resorts that are all highly recommended. In just a few clicks, you will be able to find your ideal accommodation. 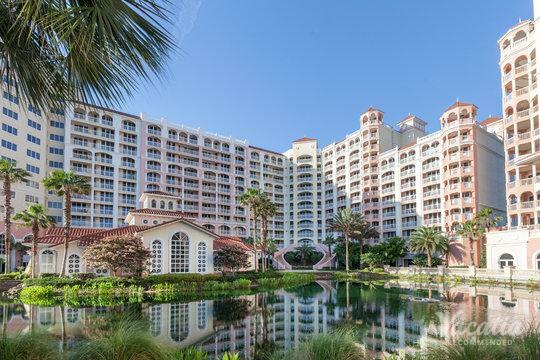 Palm Coast resorts in Florida have never been easier to find. Start planning your Palm Coast holiday with Vacatia today. Vacatia provides its customers with unique Palm Coast vacation rentals. Our resort residences strike the perfect balance between a high-end resort and the comforts of home. You'll have the peace of mind and luxury of housekeeping, on-site dining, and planned activities - just like you would in a resort or hotel. However, you'll also get your own kitchen, living room, dining room, and washer/dryer unit - offering you the flexibility to cook your own meals and take care of the laundry in the comfort of your own space. It can be difficult to find Palm Coast vacation rentals that offer all of these amenities unless you work with Vacatia. Customers are always impressed by the quality of our services and accommodation - book a Palm Coast rental with us today. 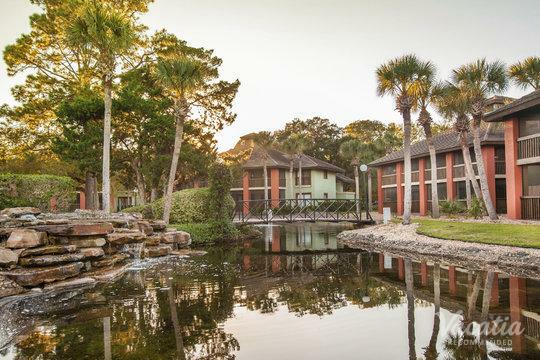 Nestled between Daytona Beach and St. Augustine along the picturesque River to the Sea Reserve and A1A River, Palm Coast provides an ideal combination of beautiful nature preserves, golf resorts, and Palm Coast condo rentals and hotels. You can spend an afternoon on a course designed by Jack Nicklaus or float down the Intracoastal Waterway with a rod and bait. Treat yourself to a luxurious spa session or amble through lush formal gardens. The nearby estuaries and marshlands are home to endangered and rare birds along the state's Great Birding Trail - you might catch a glimpse of an osprey, a great blue heron, a wood stork, or a roseate spoonbill. In the warmer months, manatees herd their way through the waterway and dolphins splash and dive in the wakes of boats. Land and water ecological tours will acquaint you with the teeming wildlife in one of the planet's most productive ecosystems. At the end of the day, make your way back to one of our Palm Coast resorts to recharge in style and comfort.